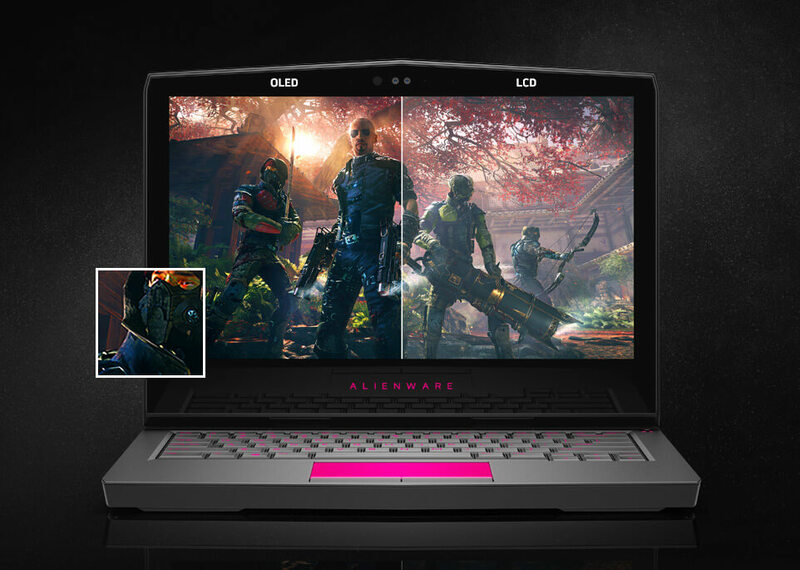 Alienware has announced a new Alienware 13 gaming notebook which the company is billing as the world's first VR-ready machine in a 13-inch form factor, thanks to the inclusion of an Nvidia GeForce GTX 10-Series GPU. The lineup comes in four base models: a TN model, a 1080p IPS model and two 1440p OLED models — with 8GB or 16GB of RAM. The two non-OLED models are powered by an Intel Core i5-6300HQ while the OLED models feature an i7-6700HQ. All four models can be outfitted with an Nvidia GeForece GTX 1060 GPU, which is the perfect discrete graphics core for gaming at 1080p, providing 40 to 50 percent more performance than the GTX 970M at a similar power and heat cost. In terms of design the Alienware 13 features a leaner, more elegant profile than its predecessor, measuring 13 x 10.6 x 0.87-inches and weighing in at 5.4 pounds. The lid uses Alienware's Epic Gray anodized aluminum, while the rest of the body is made of magnesium alloy and plastic. The laptop incorporates a new hinge-forward design which Alienware claims allows it to offer more rear ports and larger fans for increased cooling without additional noise. The base TN model starts at $1,199 while the OLED version starts at $2,099. They all ship standard with an IR camera for Windows Hello facial recognition and secure login features, 7.1 channel audio, stereo speakers, a Thunderbolt 3/USB-C port, a USB 3.0 Type-C port, two USB 3.0 ports, HDMI 2.0 and Mini DisplayPort 1.2, and two audio jacks. The new laptops also support the Alienware Graphics Amplifier, which is the company’s proprietary external dock that lets you connect the desktop graphics card of your choice.